Hotels located near Johor Premium Outlets are experiencing a notable surge in occupancy. The credit has to go to the Johor Premium Outlets (JPO) and the free shuttle bus service offered by some of these hotels. Many shoppers after spending a day ‘looting’ at Johor Premium Outlets, won’t mind checking into a hotel near JPO or spend a night at a resort in Johor Bahru (JB). 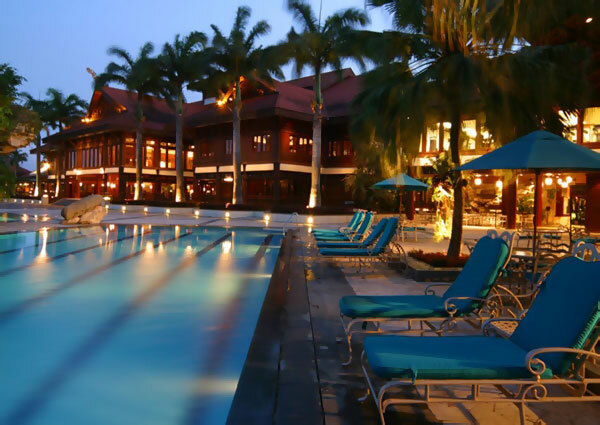 The two most popular 5-star hotels in JB have to be Mutiara Hotel Johor Bahru and Pulai Spring Resort. Both are great hotels with its own uniqueness. Mutiara Hotel Johor Bahru is thumb-up for its good location for shopping and clean, comfortable rooms though the building is a bit dated. On the other hand, Pulai Spring Resort offers beautiful golf course view, definitely a nice weekend getaway. Simply relax at the pool side or you can drive around Skudai area for cheap local food. Rooms are spacious but food served in hotel restaurant is average. Silka Johor Hotel is highly recommended for its reasonably priced, excellent location and good staff service. Rooms are clean, breakfast included and free wifi are all plus points. On top of this, Silka Johor Hotel provides free shuttle bus to Johor Premium Outlets two times daily. Le Grandeur Palm Resort Johor is equipped with fabulous facilities – two swimming pools, bowling alley, spa, golf and several restaurants. It is about 10 mins drive to Johor Premium Outlets or you can take the hotel’s free shuttle bus service there. Nouvelle Hotel Johor offers value-for-money accommodation at below USD50. Hotel provides free Wi-Fi in the room; basic amenities like tea & coffee making facilities and safety box are available. All rooms are equipped with a flat-screen cable TV. City Star Hotel Kulai is about 15-minute drive to Johor Premium Outlets and 2-minute drive to Tesco Shopping Mall, which makes it an excellent hotel choice for shopping. Rooms equipped with free Wi-Fi access, hairdryer, ironing board but only charging at very affordable price.